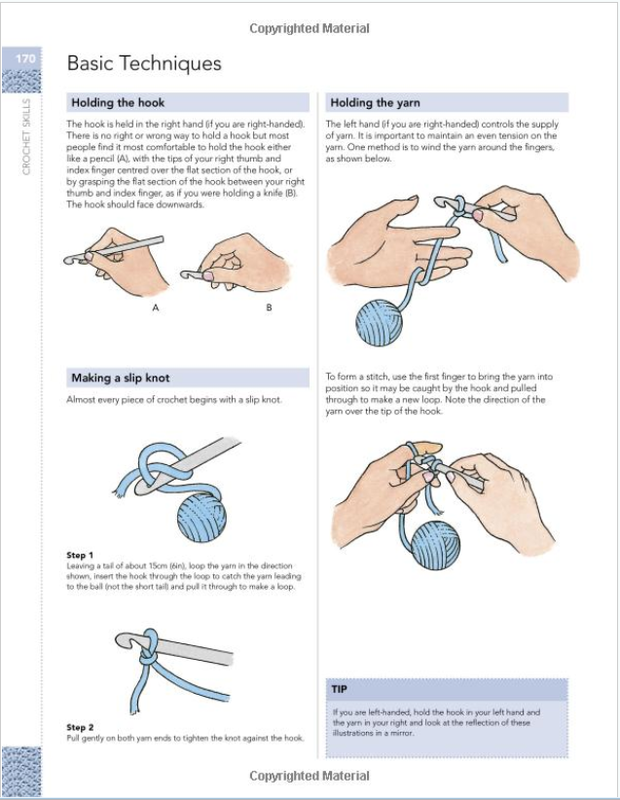 This book is divided into two chapters : Directory of stitches, and Crochet skills. 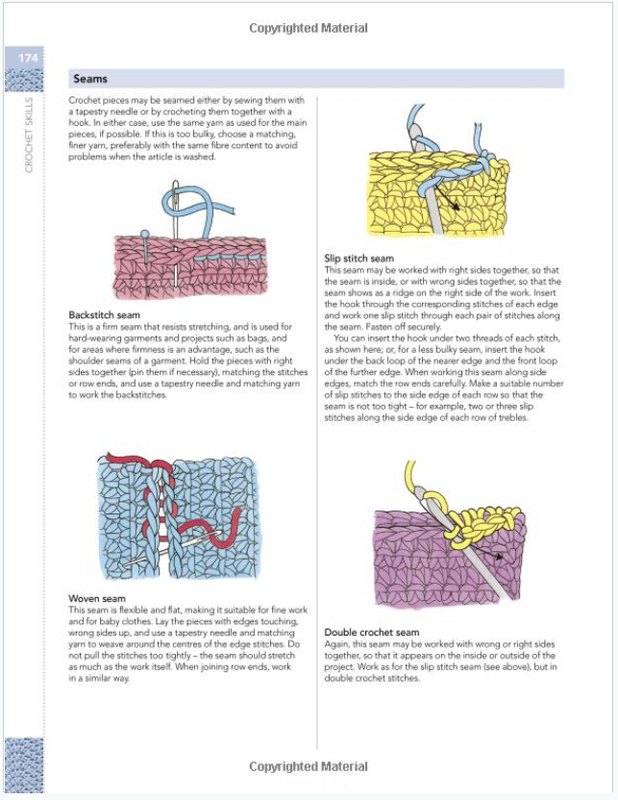 The book begins with Directory of stitches, a chapter is divided into different sections or families of stitches. 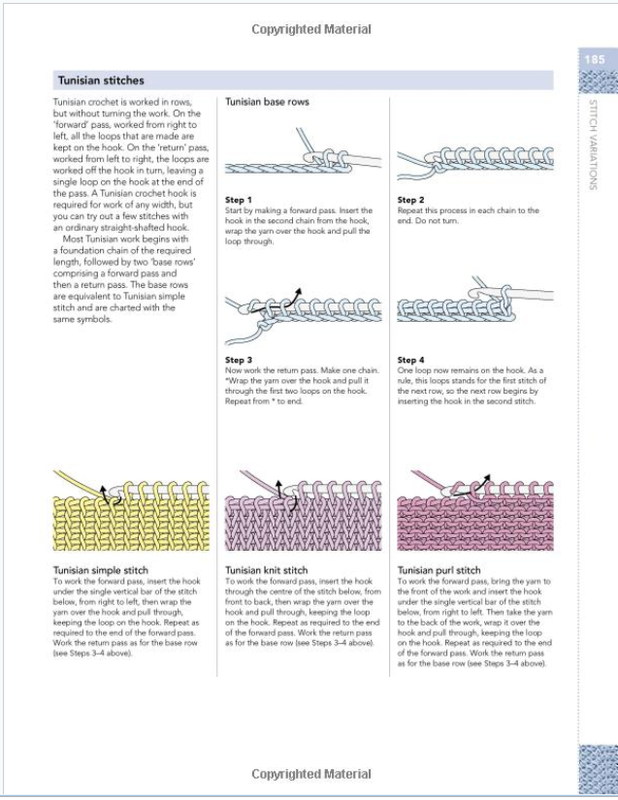 Each section of the stitch directory introduces a different technique. 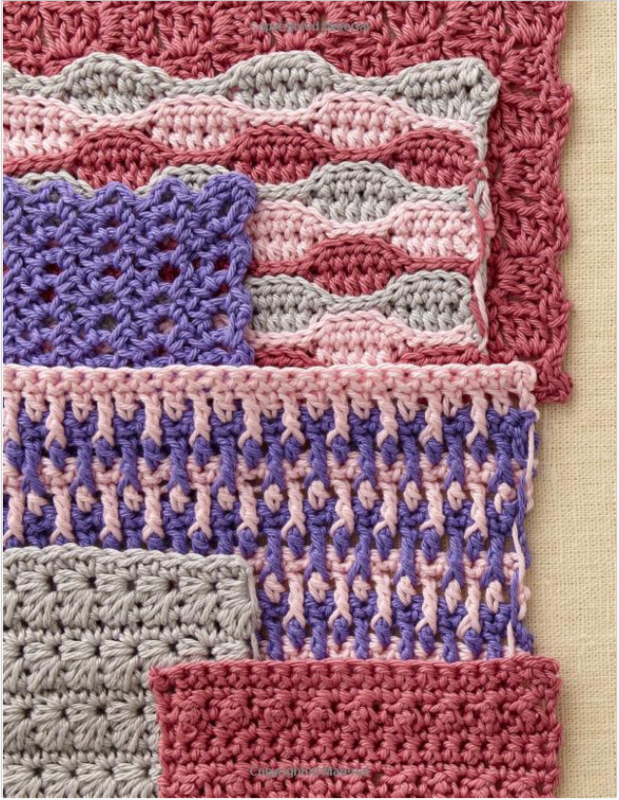 The second chapter, Crochet skills, will walk you through the essentials of crocheting. 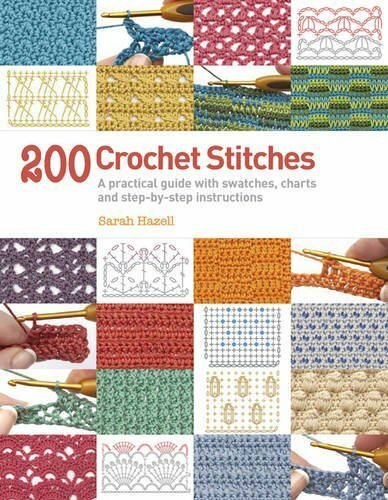 In this chapter you will find 200 different crochet stitches, divided into 12 families to help you to easily find the perfect one to suit your project. 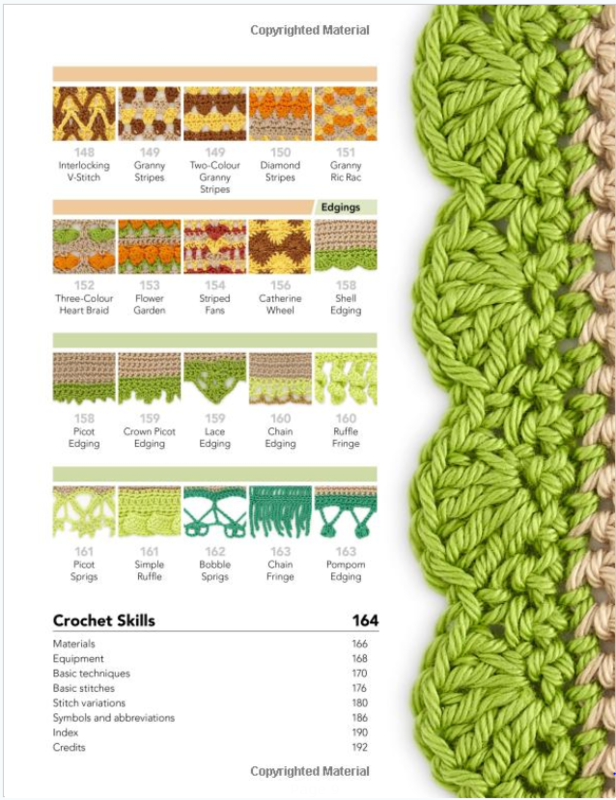 200 more Crochet Stitches is a brand-new collection of 200 crochet stitches for crocheters of all abilities. Following the success of 200 Crochet Stitches comes 200 More Crochet Stitches. This brand-new collection includes classic and new stitches, but not one repeated from the previous book, not even the basics! (since they are combinations and variations of them). 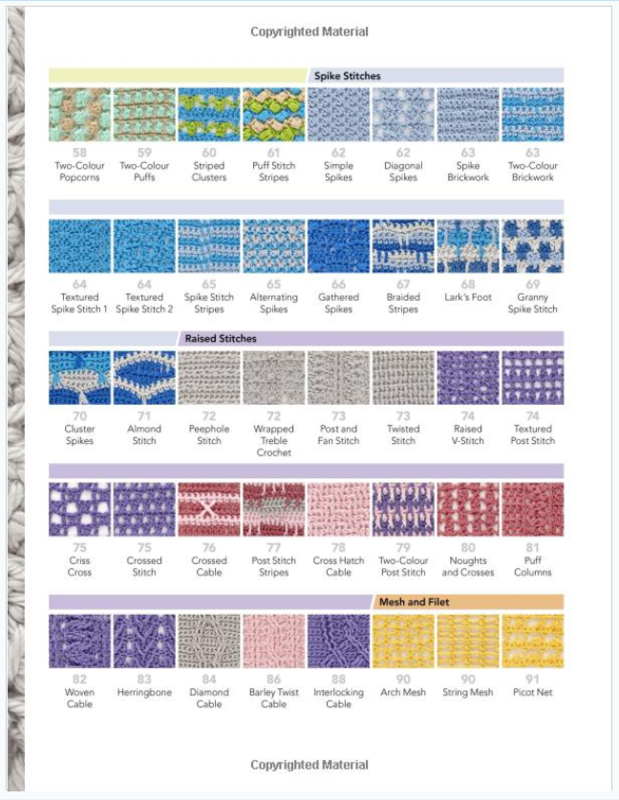 As well as popular traditional stitch styles such as fans, shells, clusters and puffs it includes 2 new sections. Tunisian stitches and Edgings, with 10 stitches each. 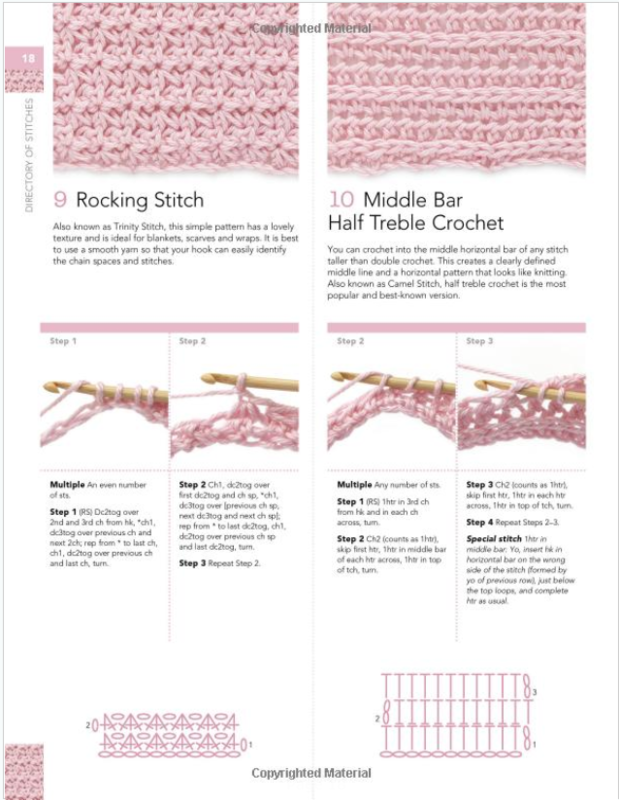 You will also find simple explanations for lace and openwork, textured and even 3D stitches. It is not necessary to have the previous book, since it is perfectly explained. But this one has more complicated stitches and if you are a beginner, it would be better to start with the previous one. 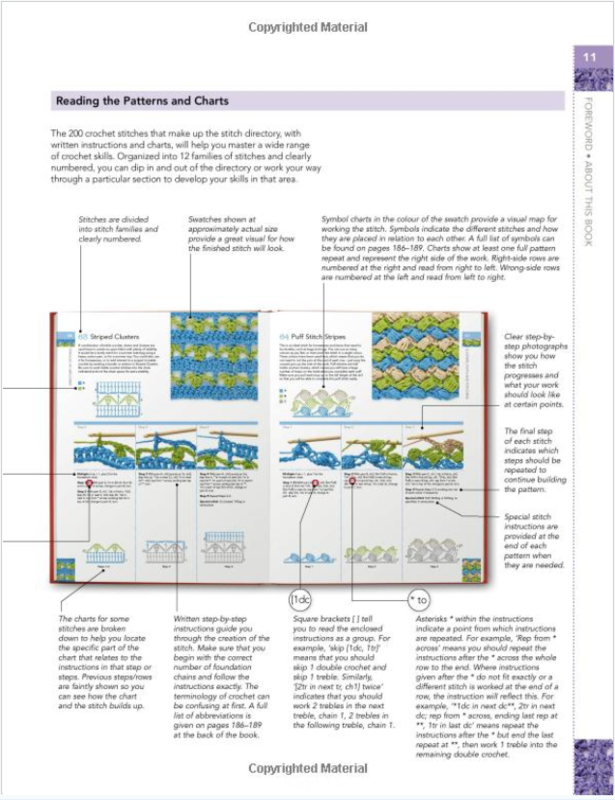 What I like most about this book is that it includes crochet diagrams, photos and images. And that the 200 stitches are divided into different categories, which is very useful. 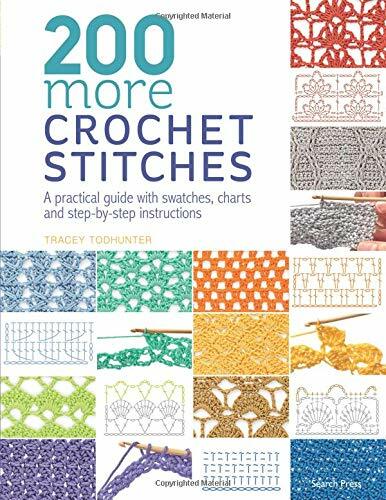 But the best of all is that it is the continuation of the other book, 200 Crochet Stitches and together there are 400 crochet stitches, sorted, classified and explained! 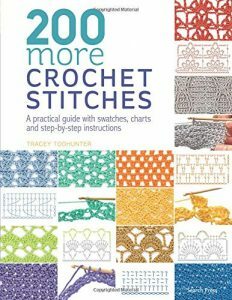 To be honest, this is an excellent book and you must have it, if you really love crochet and if you already have the previous book.